Glenn E. Unger, 86, of Littlestown, peacefully passed and entered God’s Kingdom on Saturday, Jan 19, from Select Specialty Hospital, Camp Hill. Born January 15, 1933 in Adams County, he was the son of the late Ralph & Dorothy (Sell) Unger. Glenn was married to Barbara “Snook” (Harner) Unger for 52 years. She passed on June 25, 2005. Glenn was a 1949 graduate of Littlestown High School and served in the U.S. Air Force 1951-‘53. He received the National Defense Ribbon, Korean Conflict Ribbon, United Nations Ribbon and Good Conduct Ribbon. He passed the Air Force 2-year College GED Equivalent test and received an Honorable Discharge from the USAF Reserve in December 1958 with a rank of Staff Sergeant. 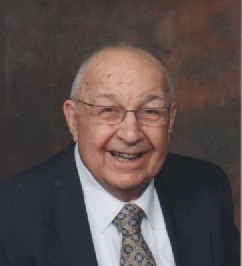 Glenn was an active member of St. John’s Lutheran Church, Littlestown, where he sang on the choir since 1954 and taught Sunday School for 30 years in the Junior Department. He was also a substitute teacher for the Adult Sunday School Class. He was a Littlestown Lions Club member since 1966 and was a past president and secretary. Glenn served on the Littlestown Borough Council from 1969-‘71. He was a member of the Civil Service Commission for many years and past president of the Littlestown Alumni Association. Glenn was employed at Harold’s of Hanover for 31 years as an appliance service technician. He received a Distinguished Serviceman award from D & H Distributing Company on January 28, 1964 at Whirlpool’s Manufacturing Facility in Evansville, IN. In 1985 Glenn opened his own business, Glenn’s Appliance Service. He was well known in the community for his expertise in appliance repair. He closed his business in 2015 at the age of 82. Surviving are his “adopted” daughter, Beverly M. Ruggles, husband L. Edward, 3 “grandchildren”: Erik L. Ruggles, wife Alison of Huntington, VT; Whitney N. McInerney, husband Daniel, of Glen Rock, NJ and Seth E. Ruggles, wife Shay, of Bowdoinham, ME and 5 “great grandchildren”: Sayler Ruggles, Kellen, Declan, Luke & Clare McInerney. Will always treasure the many wonderful memories of our relationship with Glenn for 65 years. A true Christian and faithful friend, missed already but never forgotten. Enough cannot be said of Mr. Glenn and the wonderful, kind and considerate gentleman he was. My condolences to you and your family on the passing of your “dad”. It is never easy to lose a parent, no matter your age. I pray for your peace and comfort as you continue your life journey without your dad’s earthly presence. So sorry for your loss. I'll miss you my friend!